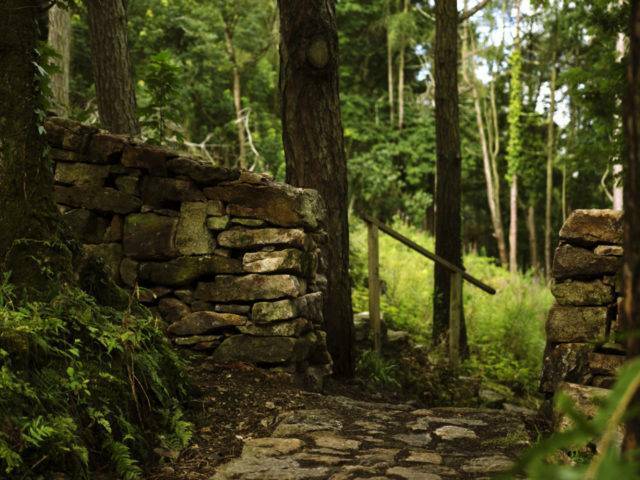 It is known that the woodland existed before the mansion was built and it carries an Ancient Woodland status which is given to woodlands which are older than 400 years of age. After Plas Glyn-y-Weddw was built, much of the woodland was re-planted with larch trees, replacing the original native trees which must have included ash and oak among other species. The network of paths were also constructed during this period linking with other paths leading through the gardens and the park which existed between the terraced garden and the beach. 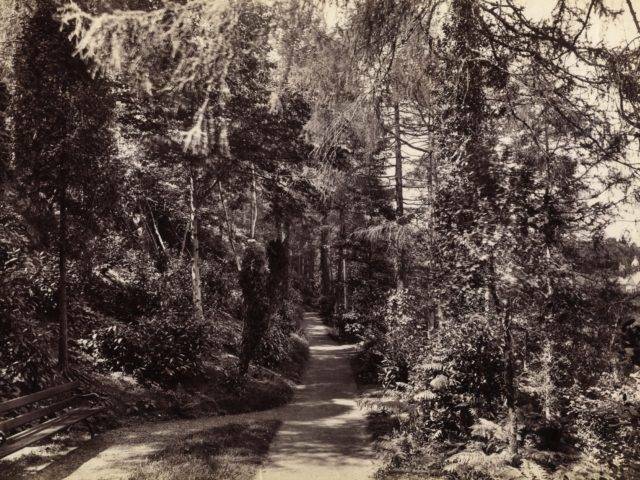 When Solomon Andrews purchased the mansion and grounds in 1896, visitors were able to walk through the gardens and woodland which were marketed as ‘pleasure grounds’. 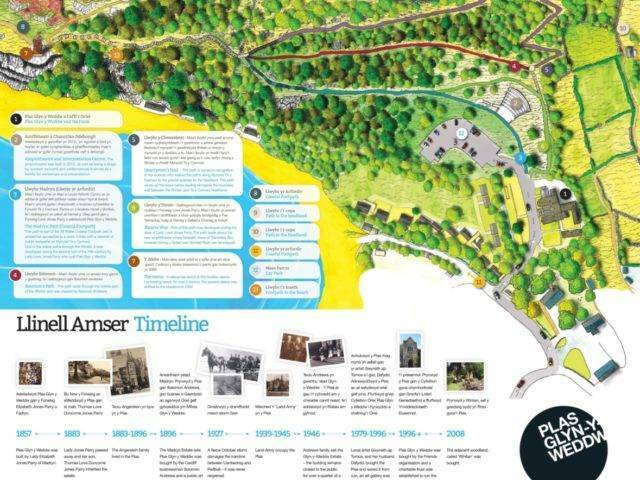 The woodland was closed from 1939 when the Plas ceased to be an art gallery, and remained in private ownership until 2008 when Cwmni Plas Glyn-y-Weddw Cyf bought the 14 acre site from its owners, the Macmaster family. 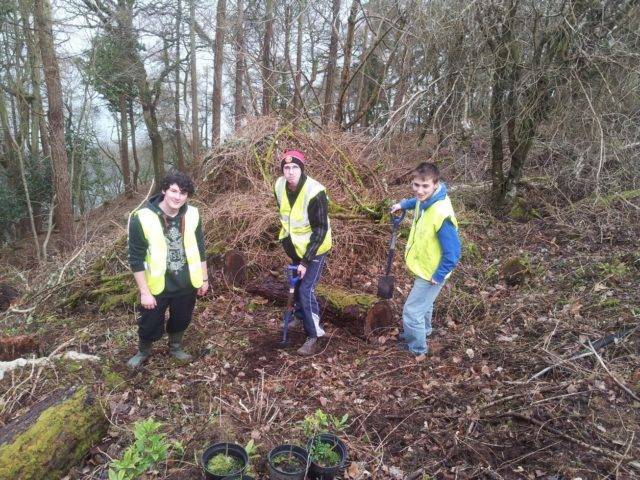 The purchase was realised through grant funding from the Llŷn Area of Outstanding Beauty fund and Plas Glyn-y-Weddw’s Friends organisation. 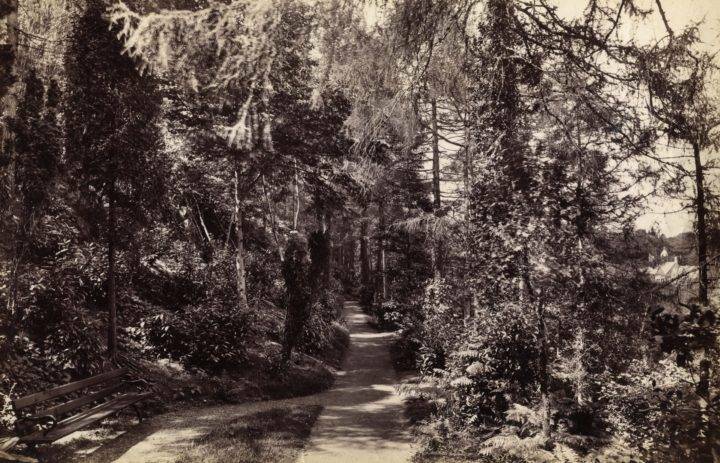 A huge task lay ahead - during the 70 years that the woodland had been closed to the public, the laurel and rhododendron shrubs that had been planted on the woodland floor during the Victorian era had grown out of control. This dense growth of invasive species had to be cleared to locate the old paths, this work was made possible through an agreement with the Countryside Council for Wales which enabled the initial felling followed by annual pesticide spraying. In 2011 a new car park was developed in part of the woodland to serve both the mansion and woodland. The following year an open air theatre was built in the woodland, it has been named ‘The John Andrews Theatre’ in recognition of the support given to Plas Glyn-y-Weddw by the late John Andrews. The theatre and car park project were funded through the Countryside Council for Wales Communities and Nature programme, the Llŷn Landscape Partnership, the Aggregates Levy Fund, John Andrews Trust, Friends of Plas Glyn-y-Weddw and Cwmni Plas Glyn-y-Weddw Cyf.